Skiing is where most peoples first taste of Snowsports comes from. It involves attaching your feet to long thin planks of “wood”, and propelling yourself down the hill. You hold poles in each hand to help with your balance and to help initiate each turn. When you first learn to ski, you'll discover how to use your edges as well as how to turn and stop using the "snowplough". As you get more confident, you'll be able to develop these skills and master parallel turns, and then you can really start carving! There's a variety of options to take your skiing further, whether it's alpine ski racing, freestyle skiing, cross-country skiing or roller skiing! If you've got the need for speed, find your local ski race club using the activity finder and you can start ski racing around the UK. 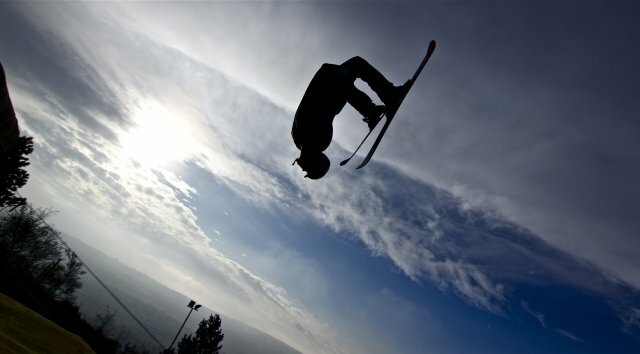 If you fancy the jumps and rails of the snowpark, be sure to attend your local facilities freestyle nights and give it a try! If you fancy taking on the endurance side of the sport, then cross country skiing might be for you – and roller skiing is a great introduction – and something you can do 365 days a year!